Good call on those! But what most people seem to forget (or hide, I don’t know) is how Origins cards work AGAINST each other. You have two of them right in this list: D-Souls and Hallowed Moonlight. 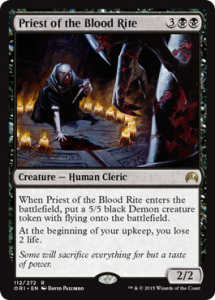 HM stops Reanimator and other “cheat into play” stuff, but it’s worth will be determined by a Meta-Game shift. Does it work against CoCo? Yes, if you leave the two mana up, but it just slows them down Does it stop Deathmist Raptor? Hell yes and for good! Abzan is not faced at all. Same goes for control and Atarka-Red. So it IS a sideboard card right now. (1) I love mono-w and mono-b in Standard with what origins gives us. 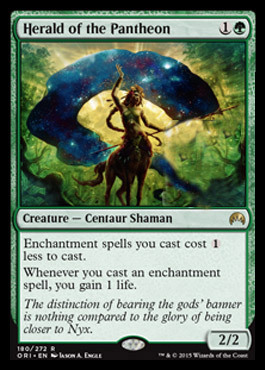 (2) I think the most asked question at brewing Standard will be “does it survive Languish or is the deck able to race it?” yes, I believe it to be that good. (3) I do not think Day’s Undoing will see much Standard play and I doubt it’ll be broken in Modern either. Yes, you can empty your hand with Affinity or Burn and draw 7 new cards, but it costs you a turn and a lot of decks right now don’t really care a all (Splinter Twin, Amulett Bloom, Elves), as they will either rarely let you see turn 3 (Bloom) or have an advanced board or are only missing one combo piece. Does Gilt-Leaf Winnower have any chance of being a sleeper spec? People are rating the card a lot based on the fact that the ETB destroy creature effect must be a creature with power/toughness that aren’t equal. 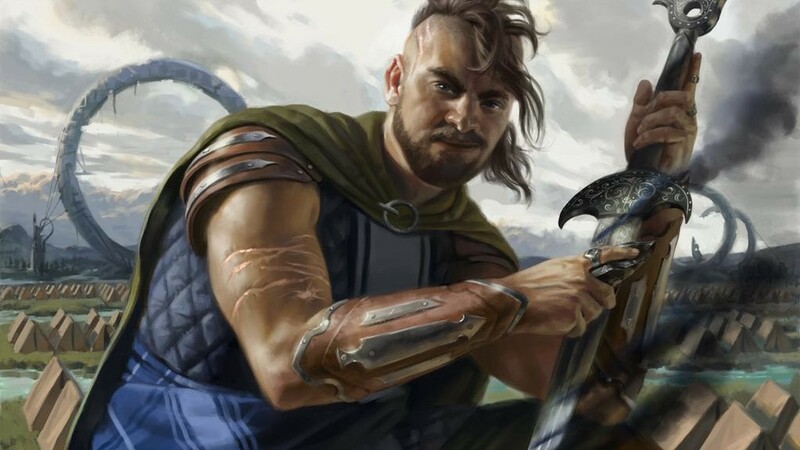 What happens if most of the big creatures released in the future have different power/toughness? 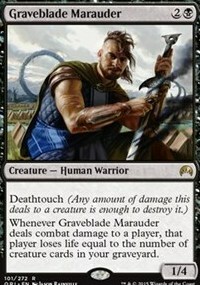 Of course the card has Menace but it doesn’t really give good value unless you get the ETB destroy creature too. Any chance this isn’t a bulk rare and sees some play? I noticed its an Elf Warrior as well so maybe a G/B elf deck? What happens if we see new Eldrazi with different power/toughness somewhere on Zendikar? I think Gilt-Leaf Winnower is a decent spec as long as you are getting them really cheap. It’s my pick of the bulk cards to end up not bulk.